C.M. Wendleboe- A protege of Craig’s who put decades of law enforcement experience out west before he picked up the pen, C.M. Wendelboe mixes believable humor as he looks at different western societies. His series characters include Lakota FBI agent Manny Tanno (Death Along The Spirit Road) and Arn Anderson, a private eye out of Cheyenne (Hunting The The Five Point Killer), as well as a cool western hero, Tucker Ashley (Backed To The Wall). Terry Shames – Terry Shames’ retired police chief, Samuel Craddock, often gets called back to duty in his town of Jarret Creek Texas, since his replacement also doubles as the town drunk. Much like Johnson’s Longmire, Shames looks at the relationship between the lawman and the town he protects. 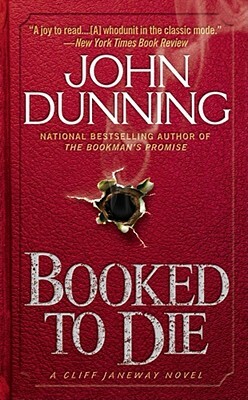 The first book in the series is A Killing At Cotton Hill. Louise Penny fans would also enjoy these novels. Adrian McKinty- You may wonder what the author of a sheriff in Wyoming has in common with an Irish crime writer who writes about The Troubles in Ireland. McKinty approaches his books featuring Sean Duffy, a Catholic police detective in Thatcher era Belfast, with similar attitude and humor. While bleaker, his Ireland is as rich and full of as many colorful characters as Johnson’s Wyoming. The first book is The Cold, Cold Ground. In July our Murder In The Afternoon book club will continue to work through one of the best current crime fiction series, the Walt Longmire books. For those not familiar, it follows an aging yet capable sheriff who struggles to keep the peace in his Northern Wyoming county as well as get his life back on track after his wife’s death. We will be reading the fifth book, The Dark Horse, where Walt deals with a murder that takes him out of his jurisdiction. Walt helps out the town of Absalom by jailing a prisoner for them. Mary Barsard has confessed to murdering her husband, but the prescription drugs in her system cause a lack of focus, giving Walt doubts about her guilt. He attempts to go undercover in her small town in the Powder River and find the truth. As he finds it, Walt also finds trouble. The Dark Horse is a rich blend of mystery and modern western. 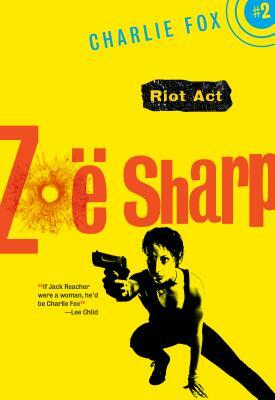 It deals with the issues of the area, the struggles of women in it, all while subtly examining crime and western fiction. We’ll be able to learn a lot about the book, including the movie that loosely inspired it, with author Craig Johnson calling in to the club. We’ll be meeting on BookPeople’s third floor, Monday, July 16th, a 1PM. The books are ten percent off to those who attend. 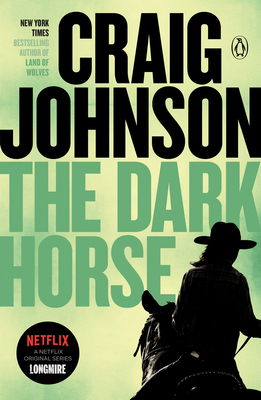 Craig Johnson comes to BookPeople to speak and sign his latest on Tuesday, September 12th, at 7 PM. We’ve followed the Longmire series from its incarnation, and we’re happy to announce Johnson’s latest is as good as any in the series! Craig Johnson understands his hero, the way not every series writer does. We’ve witnessed his put-upon Wyoming sheriff Walt Longmire battle depression after his wife’s death, cautiously develop a relationship with his deputy, Victoria Moretti, become a grandfather, and deal with others of life’s challenges, while rounding up the bad guys, all without a false note. This skill is fully apparent in The Western Star where a present day mystery connects to one in Walt’s past, and sets up his future. The Western Star begins in Cheyenne with Walt and Vic getting re-certified for marksmanship (Obviously, no challenge for Vic). Lucien, the previous Absaroka County sheriff, comes along for the ride, since they are staying with Walt’s daughter and her new baby. Walt and Lucien also have another agenda. A convict has filed for compassionate release, due to a terminal illness. Wanting the man to die in prison, Walt is out to find out about the maneuverings that are making his release possible. 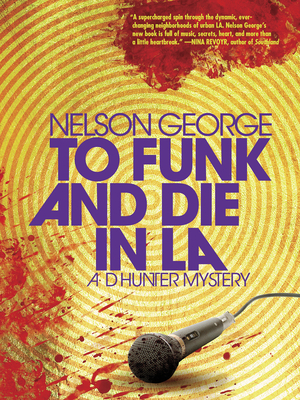 It all goes back to one of his first murder investigations as a deputy. Lucien took him along for a Wyoming Sheriff’s Association meeting that took place on a vintage locomotive traveling across the state, The Western Star. All that can be said without revealing any of the twists or surprises is a murder occurs, leading to a bigger picture when tied to the present. The Western Star is the novel version of a finely crafted rocking chair – comfortable, sturdy and straight forward, in a way that proves deceptive. It contains a nod or two to Agatha Christie’s Murder On The Orient Express and gives that classic a run for its money. Johnson uses seventies references sparingly, yet in an entertaining fashion, so there’s no show-boating in his research. There are plenty of facts that need to be played close to the vest and Craig deals them out at the perfect plot point in a way that is never contrived. It is this understanding of Walt and those around him that make the book work and allow the series to move in a new direction. He picks perfect and believable points to have play against character (try picturing cantankerous Lucien with a baby before reading) and understands the still waters that run dark and deep within them. With The Western Star, Walt’s present and past dovetail beautifully into a satisfying conclusion that sets our hero up for a journey that will define him for books to come. You can find copies of The Western Star on our shelves and via bookpeople.com. 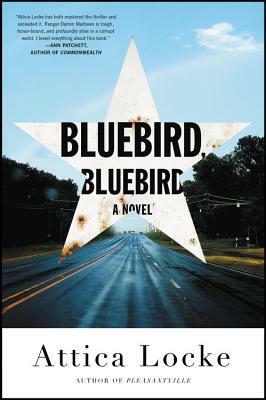 Craig Johnson comes to BookPeople to speak and sign his latest on Tuesday, September 12th, at 7 PM. The Murder in the Afternoon Book Club meets to discuss Another Man’s Moccasins by Craig Johnson on Monday, August 21st, at 1 PM on BookPeople’s third floor. You can find copies of Another Man’s Moccasins on our shelves or via bookpeople.com. On August 21st, we continue our annual tradition of reading the next novel in Craig Johnson’s Walt Longmire series. Another Man’s Moccasins is the fourth book in the series and my personal favorite. Unlike previous volumes in the series, Another Man’s Moccasins takes a deeper look into aspects of the Wyoming sheriff’s past that still haunt him. The book is actually two mysteries, linked by a mysterious woman from Walt’s past. Walt and his deputies get a call alerting them to a body dump – a Vietnamese woman has been found murdered. On her person, they find a photo of Walt’s younger self playing piano in a Saigon bar. To solve his latest murder, Walt must look back to his first murder case as a CID officer. With its explorations of Walt’s experiences in Vietnam and the past’s relationship with the present, Another Man’s Moccasins gives us much to discuss. We’ll be meeting on BookPeople’s third floor, Monday, August 21st, at 1PM. The books are 10% off to those who attend.